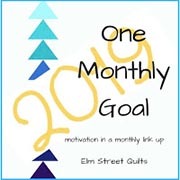 This entry was posted in Uncategorized and tagged Block Base, Electric Quilt, EQ7, LCsCottage, Nancy Martin Perpetual Calendar Blocks, patchwork, quilt blocks, quilt design, Sister's Choice, star quilt blocks. Bookmark the permalink. Not so sure i would want to go back to pencils and paper to play with quilt designs! Judy, pencil and paper are great basics when you are without power! Ha, ha! I think my favorite is that last one with the pretty green background. But I don’t think there’s an ugly one in the bunch! You are having just too much fun designing! Interesting how little changes affect the look of the same block! Great Post! Thank you, Nanette! There will be a follow up post, some time soon, featuring Sister’s Choice on point…as opposed to the straight sets of this post. Fascinating! I am grappling with EQ7 but your post is encouraging me to keep on keeping on! I think I’m trying to run before I can walk – designing custom layouts! Allison, by all means, keep on keepin’ on! 🙂 Go ahead and design those custom layouts and let your creativity shine!